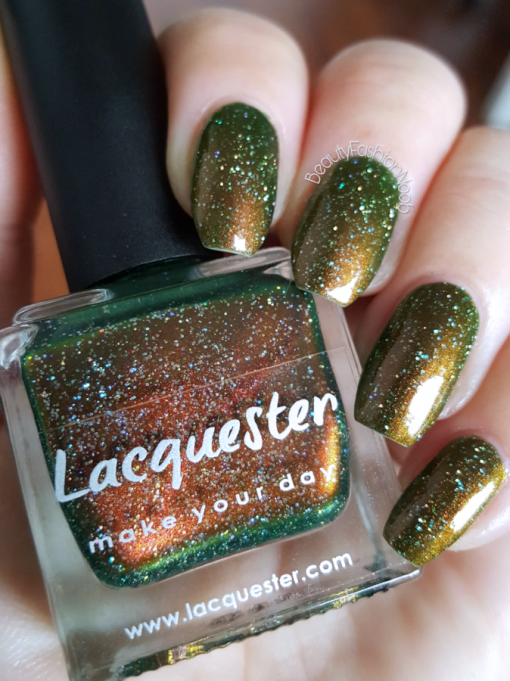 One More Green is a green based polish with multi chrome color shifting pigments in red/gold/oragen/copper with tiny holographic scattered glitter. Super Shifty! This is Mortail Coil’s green sister!